Charles Rooke was born in 1809 and became a physician. 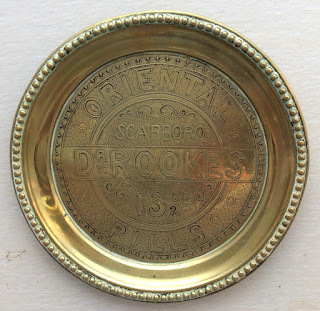 He first appeared in the Pigot & Co's Directory of Yorkshire 1841 under Chymists and Druggists, Scarborough which date ties in with the date listed on the pot. 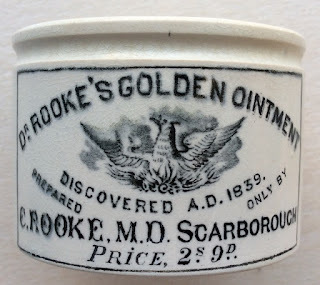 It is stated on the pots that the Golden Ointment was discovered A.D.1839. 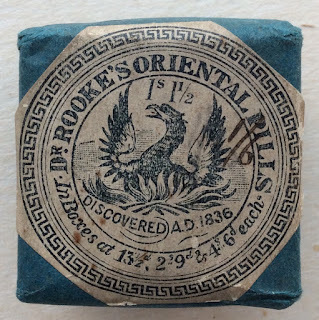 Aged 63, Dr Rooke passed away and one of his sons, Dr William Foster Rooke continued the business. 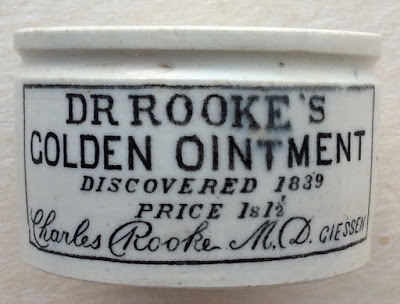 The Ointment continued to be sold after the first world war and it was during this time that the price of the smaller pots increased from the more commonly found price of 1s 1½d to 1s 3d to reflect the increase in medical tax. Pots in this increased size are rare. 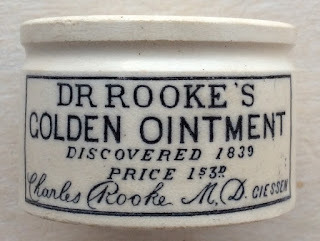 The early pots bear the name Charles Rooke M.D., Giessen (the town in Germany where he was purported to have obtained his medical qualifications). In 1851, the regional General Directory shows that Rooke was listed as Rooke C., M.D. and this title appears on the larger size pots priced at 2s 9d. The larger size pot carries a superb pictorial of a large phoenix. A detailed article regarding Dr Charles Rook and his products appears in BBR magazine 117. An unopened packet of pills from the company. Dr Rookes, 1/1½ d size in good condition, sold BBR auctions January 2008, for £22 inclusive. Further detailed information regarding these pots and concerning the Rooke family can be obtained from the Historical Guide to Delftware and Victorian Ointment Pots book produced by Messrs. Houghton & Priestley, page 119.